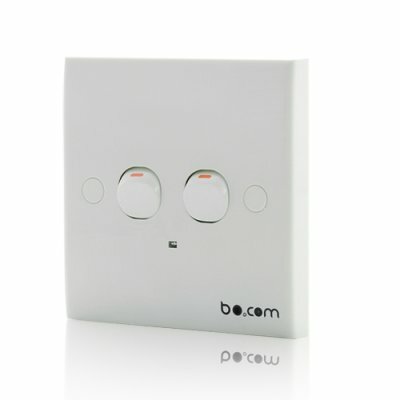 Successfully Added HD Camera Light Switch (Motion Detection, Micro SD) to your Shopping Cart. One of our most discreet cameras yet! This wall mountable light switch looks and works just like an ordinary light switch, but hidden within is a high resolution pinhole video camera. It uses AC 110-220V power, includes a built-in rechargeable battery and records AVI videos to a removable Micro SD card. This allows you to confidently capture hidden video without worrying that anyone will ever know they are being secretly recorded. The I115 comes with motion-detection activated recording. Just leave the device ON and the I115 will automatically record only when movement is detected. This is the best way to catch people snooping around your office, a burglar in the act or maybe (but hopefully not) your partner cheating on you. Record high definition .AVI video files directly to a micro SD card (FREE 2GB) at 1280x960 resolution 30FPS. In other words, the I115 is capable of capturing the fine details such as skin tone, eye color and facial features with the clarity you’d expect from a full-size surveillance camera. Place this light switch in your bedroom, living room or office- then review the captured video at the end of the day. What you find may surprise you! Make sure you order now while supplies still last and we’ll express ship your order out within 24 hours and even back the I115 with our full one year warranty. Video automatically saves after 3 minutes, then begins recording again.